A batman or an orderly is a soldier or airman assigned to a commissioned officer as a personal servant. Before the advent of motorized transport, an officer's batman was also in charge of the officer's "bat-horse" that carried the pack saddle with his officer's kit during a campaign. The U.K. English term is derived from the obsolete bat, meaning "pack saddle" (from French bât, from Old French bast, from Late Latin bastum). The action of serving as a batman was referred to as "batting". In armies where officers typically came from the upper class, it was not unusual for a former batman to follow the officer into later civilian life as a domestic servant. In the French Army the term for batman was ordonnance ("orderly"). Batmen were officially abolished after World War II. However, in the 1960s there were still batmen in the French Army. In the German Army the batman was known as Ordonnanz ("orderly") from the French "ordonnance", or colloquially as Putzer ("cleaner") or as Bursche ("boy" or "valet"). The old British term "orderly" continued into the post-independence Indian Army. It has now, however, been replaced with the Hindi word sahayak, which translates as "assistant" or "helper". There have been suggestions to do away with the practice, as the Indian Navy and Indian Air Force already have. In the Italian Army the term for batman was attendente, from the Italian verb attendere (same meaning of the English verb to attend). Attendenti were eventually abolished in 1971. The term Orderly is in use for both the military and police assistants. The term "batman" in the Pakistan Army dates from the period of the British Indian Army. In the modern Pakistan Army, civilian personal are employed in this role and are designated as NCB (Non-Combatant Bearer). The term implies that the present-day batman is not a soldier or part of the fighting cadre of the army, and works only as a personal servant to each officer. The employment of NCBs in the Pakistan Air Force and the Pakistan Navy is not officially recognized. However both these services pay their officers an extra allowance comparable to the average pay of a household servant. The Imperial Russian Army used the term denshchik (Russian: Денщик) for a batman. 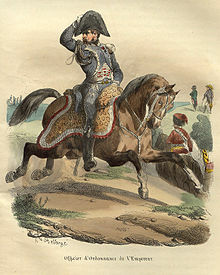 In the Russian Empire higher-ranking cavalry officers often chose Cossacks for these roles as they could be reasonably depended on to survive combat, and were also known for resourcefulness on campaign. However, they were hired help, and had to be provided with a horse also. The lower-ranking officers from serf-owning families brought a servant from home they were familiar with, particularly the infantry and artillery officers that did not require additional protection in combat, and tended to leave the servants with the unit baggage train. After the abolition of serfdom in the Russian Empire (1861), many officers went on campaign without servants. Although the positions were abolished in the post-revolutionary Soviet Union, the recognition that higher-ranking officers required assistance soon fostered an unofficial reintroduction of the role through secondment of an NCO to the officer's staff, usually also as the driver, which also at one stage became their unofficial role and title as many officers often "lived" out of their vehicles. The term was borrowed from the French, but adopted to Russian pronunciation as ordinarets (Russian: Ординарец). Several ordirnartsy of the marshals and generals commanding fronts and armies during the Second World War wrote memoirs about their service. For example, Zhukov's "driver" was a semi-professional racing car driver Aleksandr Nikolaevich Buchin who met Zhukov by accident on the first day of the war when Zhukov's previous elderly driver failed to get the vehicle he was in out of the rut. Buchin drove Zhukov throughout the war and although he began the war as a private, he ended the war with the rank of captain. Buchin wrote his memoirs called One hundred and seventy thousand kilometres with Zhukov, at the suggestion of the marshal in the 1970s. The term "emir eri" was used for a soldier that attends an officer. The practice was abolished in 1950. The official term used by the British Army in the First World War was "soldier-servant". Every officer was assigned a servant, usually chosen by the officer from among his men. The term batman replaced this in the inter-war years. By the Second World War, only senior officers of the army and Royal Air Force were officially assigned batmen, with junior officers usually sharing the services of one batman among several officers. Batwomen also served in the women's services. Batman was usually seen as a desirable position. The soldier was exempted from more onerous duties and often got better rations and other favours from his officer. Senior officers' batmen usually received fast promotion to lance-corporal, with many becoming corporals and even sergeants. The position was generally phased out after the war. Officers of the Household Division however still have orderlies, because of the high proportion of ceremonial duties required of them. In the Royal Navy stewards performed many of the duties of batmen in the other services. Aboard ship, only captains and admirals were assigned personal stewards, with the other officers being served by a pool of officers' stewards. Most vessels carried at least two stewards, with larger vessels carrying considerably more. 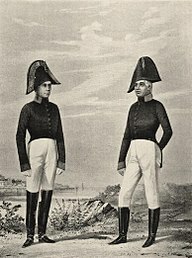 The term "orderly" was often used instead of "batman" in the colonial forces, especially in the British Indian Army. The orderly was frequently a civilian instead of a soldier. However, from 1903 to 1939 four Indian officers from different regiments were appointed each year to serve as "King's (or Queen's) Indian Orderly Officers" in attendance on the monarch in London. While performing some routine orderly functions the main role of these officers was to represent the Indian Army in full dress uniform at ceremonial functions in front of the British public who might otherwise seldom be made aware of its existence. In the British Armed Forces, the term "batman" or "batwoman" was formerly also applied to a civilian who cleaned officers' messes or married quarters. In the Royal Air Force, free married quarters cleaning services were phased out for all officers except squadron leaders or above in command appointments as of 1 April 1972. One famous example of officer and batman during the Second World War was British actor David Niven and fellow actor Peter Ustinov. Niven and Ustinov were working on the film The Way Ahead, as actor and writer respectively, but the difference in their ranks—Niven was a Lieutenant-Colonel and Ustinov a private—made their association militarily impossible; to solve the problem, Ustinov was appointed as Niven's batman. In the United States Army the term "dog robber" (from the peacetime occupation of the title character of The Good Soldier Švejk, a fictional batman) was unofficially used, although that could also be applied to a junior officer who acted as a gofer to somebody with high rank. The actor James Garner played such a role in the film The Americanization of Emily (1964). Aides are junior commissioned officers who are available to support some of the needs of general officers who serve in command positions in the rank of brigadier general and above, and those of Flag Officers in the grade of Rear Admiral (lower half) and above in the Navy and Coast Guard. These aides "perform tasks and details that, if performed by general or flag officers, would be at the expense of the officer’s primary military and official duties." Their assistance, however, is restricted to those tasks which are directly related to that officer aide's official duties. As for the use of enlisted personnel in support of General Officers and Flag Officers, according to the Department of Defense policy, "No officer may use an enlisted member as a servant for duties that contribute only to the officer's personal benefit and that have no reasonable connection with the officer's official responsibilities. In 1967, the pseudonymous Whistling Jack Smith (actually a session vocalist) recorded an all-whistling number called "I Was Kaiser Bill's Batman", which went Top 5 in the UK. Despite a title that baffled most Americans (who no doubt were thinking of the other Batman), the tune hit number 20 on the Billboard charts. J. R. R. Tolkien took the relationship of his characters Samwise Gamgee and Frodo Baggins from his observations while in military service during World War I of the relationship between a batman and his officer. In the musical film Chitty Chitty Bang Bang, Caractacus Potts's father was Lord Scrumptious's batman. In the television series Downton Abbey, Lord Grantham's valet, Mr Bates, was his batman in the Boer War; it also appears that William Mason was assigned to be Matthew Crawley's batman in the First World War. In Dorothy L. Sayers' novels, Mervyn Bunter, Lord Peter Wimsey's valet, was also his batman during World War I. Bunter is said to have helped rescue Lord Peter after he was buried alive when shell fire collapsed a dugout he was in and was credited with saving his life on several occasions both during and after the war. Bunter was also instrumental in helping his master recover from and cope with what was then called "shell shock" (post traumatic stress disorder) upon his return to civilian life. Bunter taught himself photography in order to assist His Lordship in his detective activities. In the novel Cold Days by Jim Butcher, the lead character, Harry Dresden is assigned a batman, and initially both Harry and Cat Sith are very unhappy with this assignment. In the BBC sitcom Blackadder Goes Forth, set during World War I, actor Tony Robinson portrays Private S. Baldrick, the bumbling and incompetent batman to Captain Edmund Blackadder. In the earlier series, taking place between the 1400s and the early 1800s, he plays Edmund Blackadder's dogsbody Baldrick, a similar, non-military role. In the Honor Bound series the character of Sergeant Major Enrico Rodriguez served in this capacity to Cletus Frades father. In the Eagle comic strip Dan Dare, Digby is Dan's batman. In the TV show Archer the eponymous character's valet, Woodhouse, was the batman of his superior officer in the Royal Air Force in the First World War. In DC Comics media, Alfred Pennyworth (Batman's butler) has been referred to multiple times as "Batman's batman." Currently unsubstantiated rumors have it that Alfred was also Thomas Wayne's (Bruce Wayne's late father) batman when both men were in military service. In the Terry Pratchett novel Monstrous Regiment, the main character serves as batman to her lieutenant. In the animated TV series ReBoot, 1 binome Binky Ffarquarson is batman to 0 binome fighter pilot Algernon Cholmondley-Worthington III (who is addressed in canon only as "sir"). ^ Scheffel, Charles; Basden, Barry (8 January 2007). "3 Operation Torch". Crack! and Thump: With a Combat Infantry Officer in World War II (Kindle). Camroc Press LLC. p. 28. Your batman's first job [...] is to dig a slit trench. [...] Then he digs a slit trench for you. Because, Charlie, if you're an officer in command and you come under fire, you're going to be so damn busy figuring out how to get out of the mess you're in, you'll never have time to dig your own slit. ^ "Super Schlager Box 3 Interpret: Various (1998)". schlaile.de. 2014. Retrieved 21 July 2014. ^ "Sahayak scrap cry". The Telegraph (Calcutta). 5 March 2010. Retrieved 21 July 2014. ^ "Our Family History : Bretz-Halliday-George-Neilson". Our Family History. ^ "Obituary: Sir Peter Ustinov". BBC News. London: BBC. 29 March 2004. Retrieved 21 July 2014. ^ "Air Force Job Descriptions - 8A200, Enlisted Aide". about.com. 2014. Retrieved 21 July 2014. ^ "DOD Instruction 1315.09: Utilization of Enlisted Personnel on Personal Staffs of General and Flag Officers" (PDF). U.S. Department of Defense. 2 October 2007. Retrieved 21 July 2014. ^ "Whistling Jack Smith - I Was Kaiser Bill's Batman". YouTube. 1 October 2006. Retrieved 21 July 2014. ^ Carpenter, Humphrey, ed. (1981). The Letters of J.R.R. Tolkien. London: Allen & Unwin. ISBN 0-04-826005-3. Look up batman in Wiktionary, the free dictionary. Akhtar Khan, Muhammad (July 2001). "Recollections from memory about batmen". Defence Journal. Karachi. Archived from the original on 18 August 2002. This page was last edited on 7 March 2019, at 00:53 (UTC).